Want to learn more about couponing? 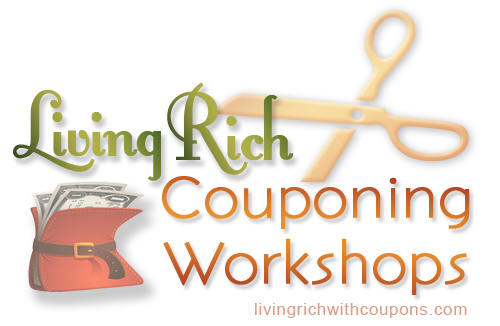 Now is your chance to host your own Living Rich Couponing Workshop. All classes will be taught by Cindy at your location. Workshops are free for non-profits. If you are not a non-profit, we would be happy to supply you with a quote. If you are interested in hosting a Living Rich Couponing Workshop, you can fill out a Request Form. My daughter Megan will be coordinating all workshops. If you have any questions, you can contact her at Megan @ livingrichwithcoupons.com (remove spaces). Check to see if there is a Public Workshop in your area. Workshops are being updated often.